Google is making its presence everywhere. 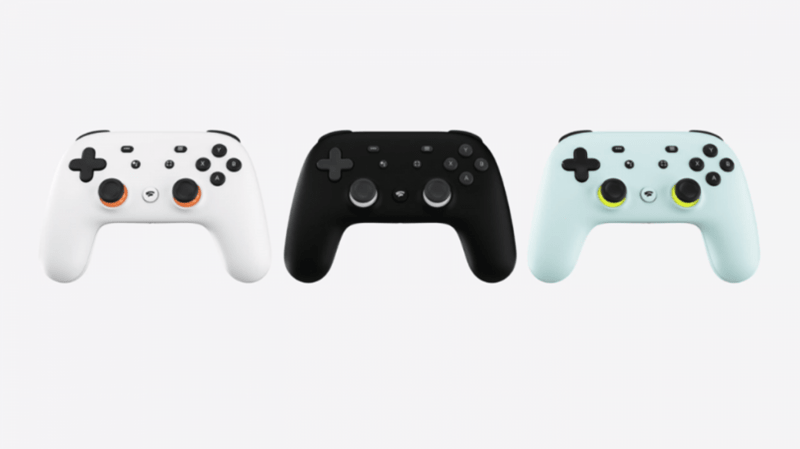 After Search, Music, Video and many other useful services, At Game Developers Conference (GDC) 2019, Google has now announced its new feature-packed cross-platform game streaming service ‘Stadia.’ Unlike other popular gaming services, the best thing about Stadia is it doesn’t require any special hardware. 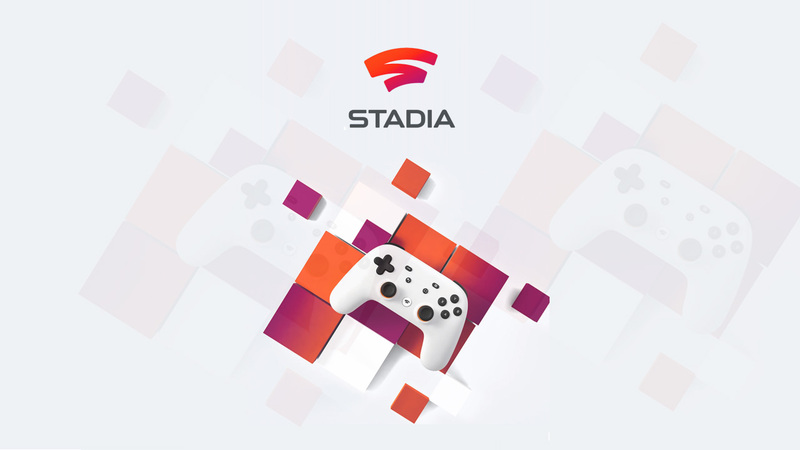 Google Stadia can stream games on almost everything ranging from Android phones, Chrome to Chromecast devices. Google has heavily focused on the fact that you don’t need any specialized hardware. Nowadays, people already own several devices that are able to stream games with Stadia. If you are interested in playing Multiplayer games, Google has made everything quite simple and easy for you. Now, you don’t have to wait till your console boots up or game updates to install. Google is using ‘console’ as their centralized servers and data centers. It means everything is streaming over the internet and you won’t have to think about the progress of the game. It doesn’t matter what platform you’re using, the game can easily be transferred mid-game to other devices and so everything will be remain synced. Google has also demonstrated an example of watching a trailer for a video game on YouTube. You could tap a button at the end of the trailer to instantly jump into the game in less than 5 seconds. 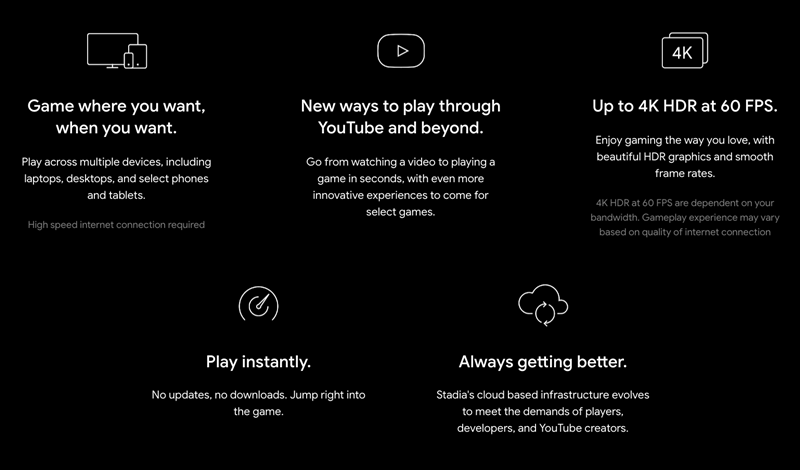 According to Google, they want to make Stadia, a central community for gamers creators and developers. Stadia comes with a feature called ‘Crowd Play’ using which the viewers can jump directly into the game and play with the creator. Google has already said, Stadia doesn’t require any special hardware. You can easily use standard USB controllers or a mouse and keyboard. But they will also launch a feature-rich controller later this year. Talking about its features, the controller will have a built-in Google Assistant button and also allow gamers to upload sessions to YouTube using the Share button. Though Google didn’t reveal the number or names of games available at the time of launch, one of the first games will be DOOM Eternal. Gamers will be able to play this game at full 4K 60FPS. We can also expect Assassin’s Creed Odyssey to be available at the time of launch. In order to make this service successful, Google has to ensure that its performance at least matches its competitors. At the time of launch, Stadia will support the 4K resolution at 60FPS frame rate. They are now working on adding support of 8K at120FPS. Google partnered with AMD to build a custom GPU for its data center. As per the official blog post, the GPU will have 10.7 teraflops of power, 56 compute units and HBM2 memory. The CPU uses an x86 processor clocked at 2.7GHz, hyperthreaded, and AVX 2. It will have at least 16GB of memory with up to 484 GB/s transfer speed and L2+L3 cache of 9.5MB. Google has not shared more information about the launch and pricing yet. The stadia will be coming to the US, Canada, and most of Europe sometime this year. A Computer Science Engineer by Education and Blogger by Profession Who Loves to Write About the Latest Technology, Tips, Tricks and Tutorials.